What’s Negotiable in Your Raise, Job Offer or Promotion? With the war for talent raging in the global marketplace, there has never been a better time to negotiate what you want in a raise, job offer or promotion. Chances are good that sometime during the next twenty-four months you be in a negotiation for your next raise, a new promotion, or a new job. The great news is that there are far more options at your disposal to raise your overall compensation that you might think. Recognize that payroll compensation carries with it several conditions that make negotiating it more complicated. First, payroll dollars carry with them employer-paid taxes (Social Security and Medicare) as well as employer-paid federal and state unemployment insurance premiums. Unemployment insurance premiums are tied to the employer’s payroll dollars. The compound effect of payroll taxes and insurances may every $1 in gross pay cost the employer at least $1.10. Second, many employers need to maintain some form of pay equity to assure that people are paid fairly across employees who do the same work, reflecting an individual’s productivity and experience levels. Third, many employers use job grading and salary banding to assure that job equity is maintained across all departments throughout the organization. For these reasons, employers have less flexibility and inclination to grant payroll-based raises than other non-payroll compensation options. 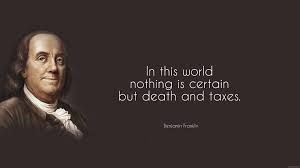 Ben Franklin was right: taxes are a certainty. Your gross pay is taxable (along with some non-payroll compensation). What’s the impact of taxes on your gross pay? To find out, add together your federal, state, and local income tax deductions from gross pay and you’ll discover that it is more than you think. And since tax rates are progressive, you get taxed at a higher marginal tax rate the more payroll compensation you receive. Question: What may be a better alternative to payroll-based compensation for you? Answer: Non-payroll-based compensation that is not taxable! Both employers and employees can benefit when the compensation is non-taxable. Consider Jon Edwardson. He negotiated a flexible working arrangement that let him work from home one day a week instead of traveling from his residence to the office. His commuting costs (bus, train, gas, tolls, parking, etc.) work out to $22 per day and he spends about an hour daily in his commute. By cutting 50 trips in to work a year, he has just gotten an after-tax pay raise of $1,100 and a full week of time back for the year. This helps Jon maintain a better work/life balance. His employer wins because Jon is less distracted when working at home, allowing him to concentrate better and be more productive…without paying Jon more. Here are twenty-one non-payroll compensation options that can be negotiated as part of a raise, job offer, or promotion. Some of these elements may be contrary to an employer’s policy; others could be easily offered with little perceived cost on the part of the employer. Here’s a shocking fact: According to Jobvite, 71 percent of employees DO NOT negotiate their compensation beyond what the employer offers. That means most people are leaving money on the table! How about you? Since everyone values different things differently, you’ll need to decide which of these items you’d like to have made part of your compensation. The alternatives are listed in no specific order, and do not form an exhaustive list. Job title. Job titles could be important to you for several reasons. Holding a job whose title suggests advancement over your prior position is a way to show career growth. It also may increase the perceived level of the position internally and externally. For example, vice president and general manager appears more significant than general manager alone; Executive Assistant is likely to be perceived as having greater impact than Clerical Assistant. You can negotiate job titles for a starting positions as well as what it will be once you’ve successfully completed and agreed-upon time period (such as following completion of a trial period or after a year of successful performance). Flexible working schedules. If the position does not require being available over a specific set of hours, you may be able to request a flexible starting and/or ending time that works better for your personal situation. Flexible working schedules might also include swapping a weekday for a weekend day, and could be a benefit to the employer as well. If summers are slow for the employer, you might negotiate four the-hour work days instead of five eight-hour workdays. Work from home. Some positions offer the option of being able to perform your duties from home, versus coming in to a work location. This could enable you to save the time and expense of commuting during the days you work from home. Home office stipend. Employers may provide a home office stipend to offset the costs of equipment, office supplies, and the Internet. Since this is expense reimbursement and not income, it is usually not taxable. Travel (or commute) allowance or stipend. Some employers are willing to offset routine work-related travel, and even subsidize part or all of a commute, with compensation in the form of a monthly reimbursement (again, usually not taxable). Some employers allow you to keep the frequent flyer mileage accruing from air travel, overnight stays, and car rentals, while some may allow you to travel business or first class instead of coach. Wardrobe allowance. In positions requiring uniforms or non-traditional attire (such as the fashion industry), employers may provide uniforms, clothing, or a wardrobe allowance to help offset your costs. Check with your tax preparer to see if this is taxable for you. Paid time off. In your particular life circumstances, your view of the optimal work-life balance could include additional paid time off. This could be in the form of additional vacation time, additional personal days, or other agreed-upon paid time off. If the employer has a favorite charity it supports, you might get paid time off for volunteering to work a day or days each year at that charity. Guaranteed first year bonus, commissions, or increase. This negotiated option can close the gap between what is offered and what you need to accept a variable compensation position whose total compensation is comprised of a base plus variable compensation. Accelerated compensation reviews and salary negotiations. This is another way to raise starting compensation more rapidly at the beginning of employment. For example, instead of having a compensation review once per year, negotiate three reviews during the first two years, after which you fall in line with the employer’s annual compensation review process. Trial period. Trial periods can offer you several compensation options. If the employer provides benefits following completion of a trial period, you might negotiate having coverage on Day 1. Or the employer paying some or all of your COBRA insurance premiums until you are eligible for the employer-provided coverage. Another option is to negotiate a pay increase, promotion, title change, or bonus following the successful completion of a trial period. Work space, furniture, and equipment. The last person in your position may have worked from a cubicle using an old PC and sharing a common printer. However, you may be able to negotiate for a larger workspace, better/newer equipment, better furniture, and even an office, should space be available and your duties warrant. Housing allowance. Some employers provide a housing subsidy in the form of rent-free or reduced-rent apartments or condos, while others provide a stipend to offset housing costs. This is more common in senior positions where an executive is unable to relocate and takes a small apartment close to the office and resides there during the work week. Relocation allowance. A relocation allowance may be offered when an employer desires you to temporarily or permanently relocate to a specific area. This can take many forms, from providing employer-paid professional packing/unpacking, moving, and storage services to the guaranteed sale of a residence or a cash bonus. There is a wide variety of what might be negotiated as part of a relocation. Education/Continuing education. Employers may provide a tuition-reimbursement benefit. This may partially or fully cover outside education required to maintain active certification (such as a nursing or CPA) or to enhance skills needed to perform a current assignment. You may be able to negotiate how soon you are eligible for this benefit, as well as the amount and timing available. Some employers will require the employee to serve an additional time period as an employee, or repay the benefit if leaving employment before the period is completed. Employers may be willing to help retire some or all of your outstanding student loan balances. Professional fees and conferences. Some professions have associations and other groups affiliated with the profession, so learn what the employer will partially or fully subsidize, such as annual membership fees and dues; meeting fees; club or association fees; conference fees (including associated travel costs); and publications. Reduced fees and discounts. For the employer’s products and services, if applicable. Health or sports club memberships. Employer fully or partially paid membership. Childcare allowance. Your employer may be willing to subsidize all or part of your childcare expense, or may offer reduced rates for childcare at providers located at or near the company premises. Severance provision. You may be able to negotiate a severance provision that pays you a specified amount or rate in the event that your employment ends. This is typically applicable for separations that are not for-cause terminations, though the amount and circumstances of a severance provision can vary to include almost anything. Some examples are the payment of wages past the date of separation and the payment of certain insurances for a period of time following separation (such as healthcare). Vehicle allowance. Employers may subsidize part or all business-related travel, especially in field-based positions or where local travel is a regular part of the position’s essential duties. Employers may reimburse employee mileage, parking, and tolls for work-related travel; or provide a vehicle and company credit card; pay for a leased vehicle for company business; or pay a portion of a personal vehicle’s lease payment. A travel stipend or receiving a company credit card to pay for gas and repairs offer substantial savings to the employee. Consult a tax professional to understand the tax implications of receiving a vehicle allowance. Insurance. There are a number of opportunities for receiving additional value here. Employers may provide more employer-paid insurance options beyond the standard wellness coverage, or be willing to pay for traditional elective coverages such as life insurance or AD&D insurance. Another approach is to provide better insurance coverage for the same fee of a lower coverage level. In the case of you having spousal insurance coverage, you may negotiate to receive compensation in lieu of taking the employer-provided insurance. Don’t forget to ask for any life and disability insurances to include a rider that ensures their transportability at the same low employer group rate should you leave. Negotiating compensation is not only about what your salary or hourly rate is – it’s about your total compensation! It will pay you to make dollars and sense out of all your compensation options, and negotiate your best overall compensation. Keep this list and refer to it often. And as you progress in your career, keep adding new areas of compensation that you find personally value.